Niceville.com, Niceville’s community website, has been named the recipient of the inaugural Keep It Local award by the Niceville Valparaiso Chamber of Commerce. Gilson Group, Inc., publishers of Niceville.com, received the honor at the Chamber’s annual Awards Celebration held at Northwest Florida State College. Niceville.com, and its Facebook page, Niceville Fla, were singled out for the award for highlighting and promoting local businesses, local activities, and publishing community news. The new award underscores the Chamber’s Keep It Local mantra. It is aimed at recognizing the contributions made by businesses and individuals toward promoting our local marketplace, economy, and community. 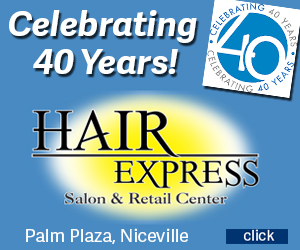 Niceville.com has served the community since 2000. More than 500,000 pages were viewed by readers last year. Its Facebook page has nearly 19,000 followers. In addition to Niceville.com, Gilson Group publishes MyNiceville.com, a newcomer’s guide to Niceville, VisitNiceville.com, a visitor’s guide to Niceville, and MulletFestival.com, the original online guide to the Boggy Bayou Mullet Festival since 1997. 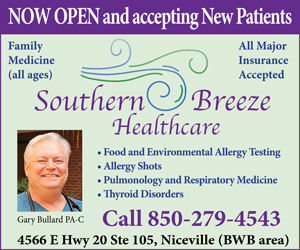 For information about advertising, contact Niceville.com at 678-8000 or email dgilson@niceville.com.